Solving your design challenges with fresh ideas, practical solutions, innovation, and 100 years of manufacturing experience. 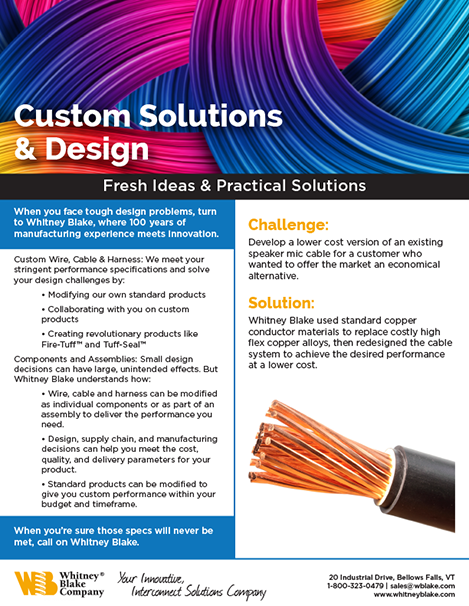 Learn how a speaker mic cable customer created an economical alternative with copper conductor materials and a custom cable system. The industry’s first and only 500℉ fire-rated flexible coiled cord. 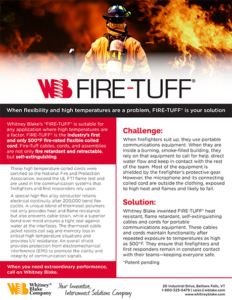 Learn how firefighters use this cord to remain in constant contact with their teams and increase safety. WB’s experienced and knowledgeable team brings your ideas from conception to production with full-scope project management. 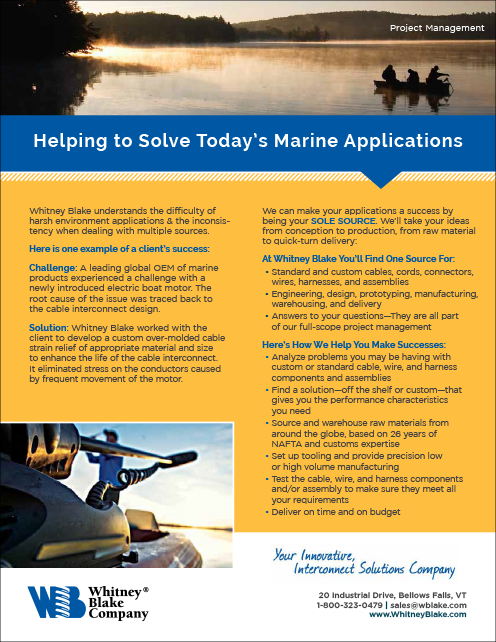 Learn how we worked with a marine product manufacturer to identify and resolve the root cause of an electric boat motor field failure. 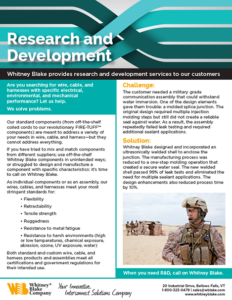 Providing research and development services. 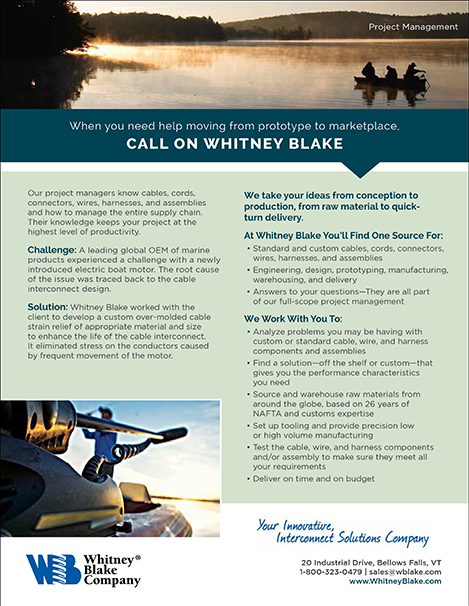 Learn how we worked with the client to develop a custom over-molded cable strain relief of appropriate material and size to enhance the life of the cable interconnect.